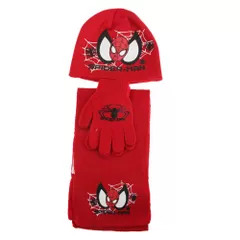 Material: 20% acrylic, 80% polyester. 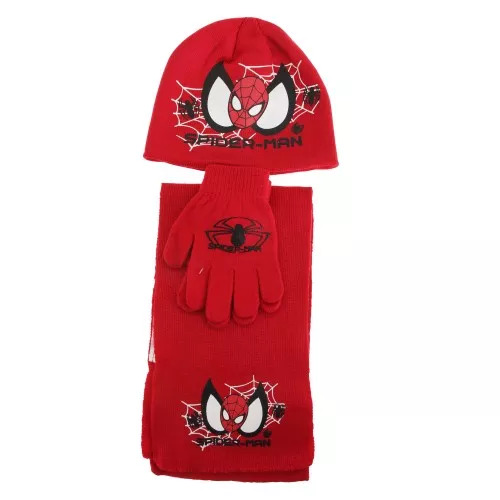 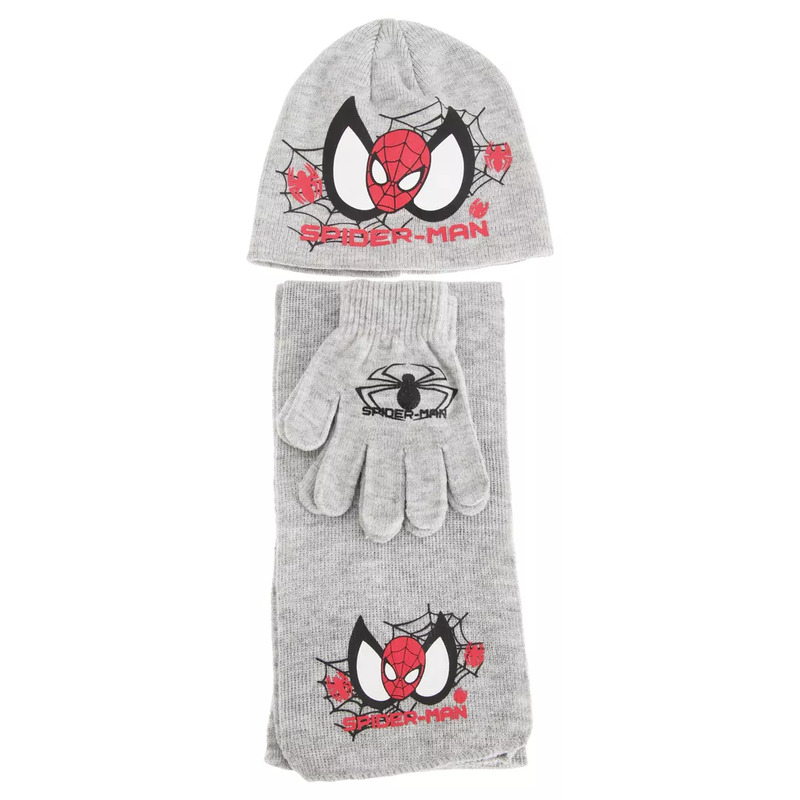 Stylish and warm Spider Man design winter warming set, including hat, gloves and scarf. 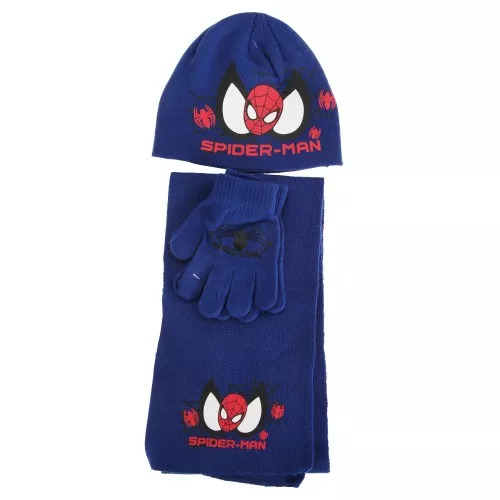 Name tag on inside to keep it from being lost.